Good News Pilipinas! 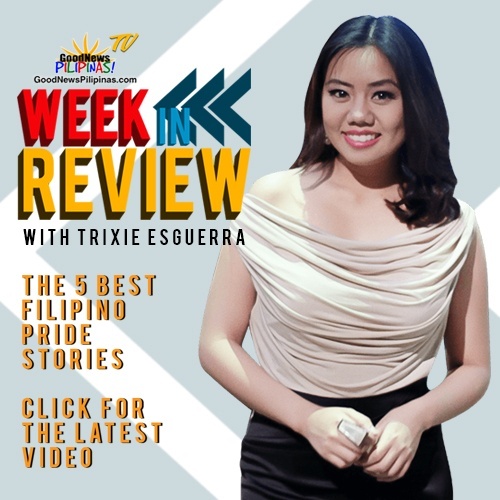 TV Week in Review presents 5 Filipino Pride stories of Pinoy triumphs, positive action, and inspirations with happy Filipinos and Jollibee challenging U.S. fried chicken chains. We also have Iza Calzado and Joanna Ampil joining the GoodNewsPilipinas.com Filipino Pride advocacy, Kathryn Bernardo winning the Nickelodeon Kids’ Choice Awards, and De La Salle University Dance Company Street getting the Queen’s attention as they win the 81st UAAP Streetdance championships. Iza Calzado and Joanna Ampil are GoodNewsPilipinas.com Ambassadors!